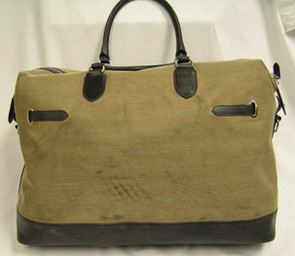 This bag came in with streaky stains along the side as in you can see in the “before” picture. 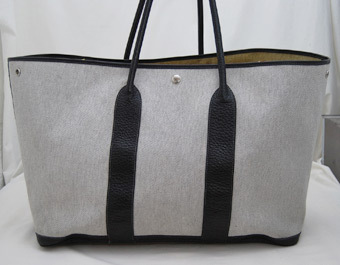 We were able to remove them and make the bag look like new. 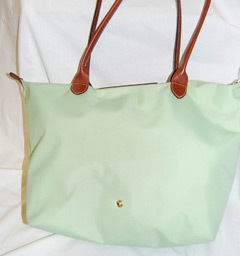 Canvas, golden hardware, and leather are the main componants to this Le Pliage Longchamp bag that we were able to restore. 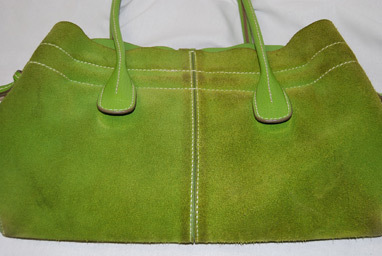 Heavy soiling can be seen on the pistachio-colored canvas in the ‘before’ picture – the ‘after’ picture speaks for itself. 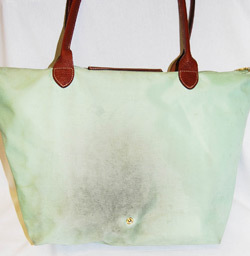 A suede, raisin-colored Coach handbag came to us with a small paint stain on the bottom of it. The customer was made aware that some coloring might have needed to be done to fix the spot. 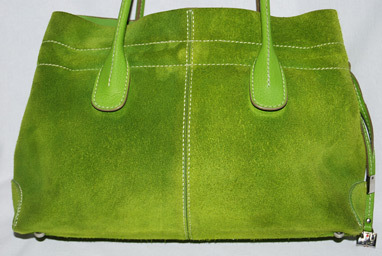 Lucky for them, our suede specialists are so talented, color spray was not needed in this cleaning process, leaving the suede it’s beautiful color. 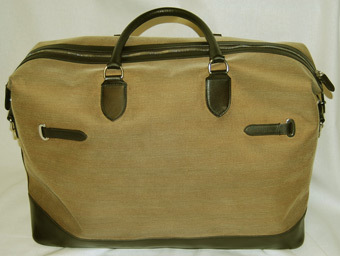 A tan nubuck bag came in with black scuff marks all over the skin. 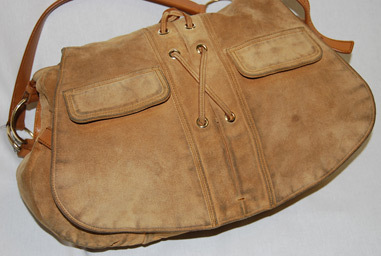 We were able to remove them all and keep the nubuck looking its tan best. 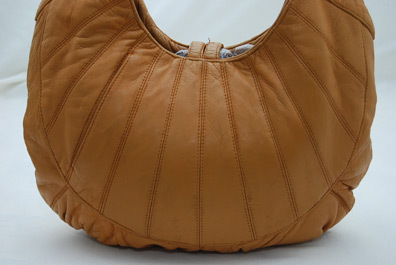 A tan leather handbag came in with some scuff marks and fading along the stitching. 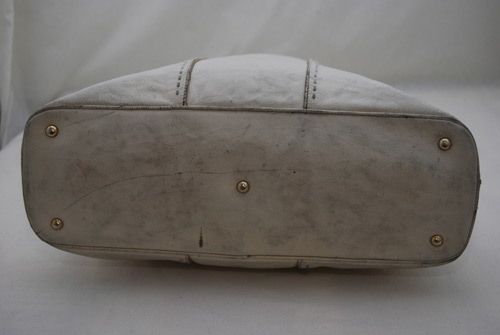 All it needed was a little TLC from our experts to restore it back to its original condition. 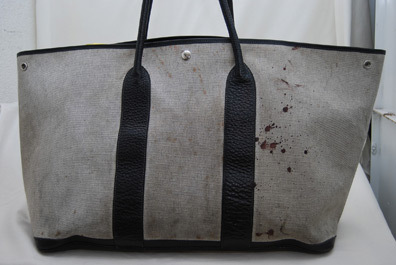 A canvas and leather Hermes bag came in with blood spattered on it from an accident. 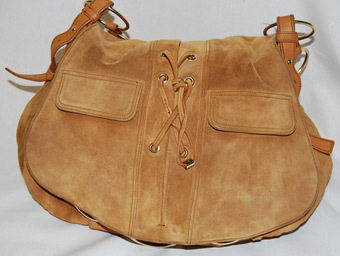 Instead of the customer replacing it, the sentimental value was too great to let this bag go. 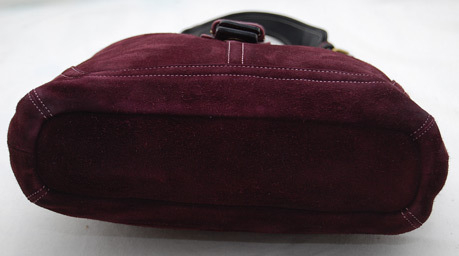 After removing the blood, the customer can once again use the bag as if it were brand new. 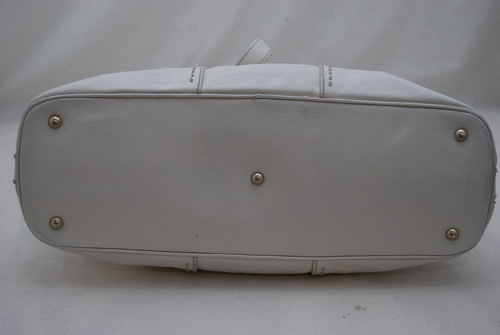 A white leather Yves Saint Laurent bag came in with real issues on the bottom. 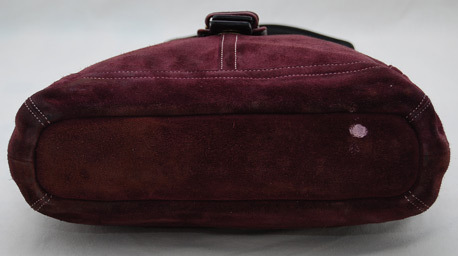 Sometimes bags can get more dirty on the bottom than anywhere else from simply setting down the bag on all types of surfaces. 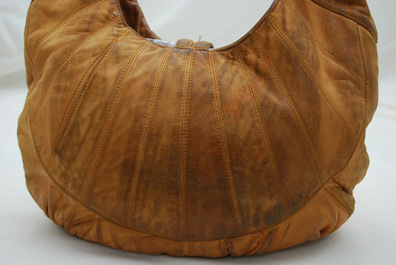 As you can see from the pictures, we were able to perfectly restore the bottom of this bag.